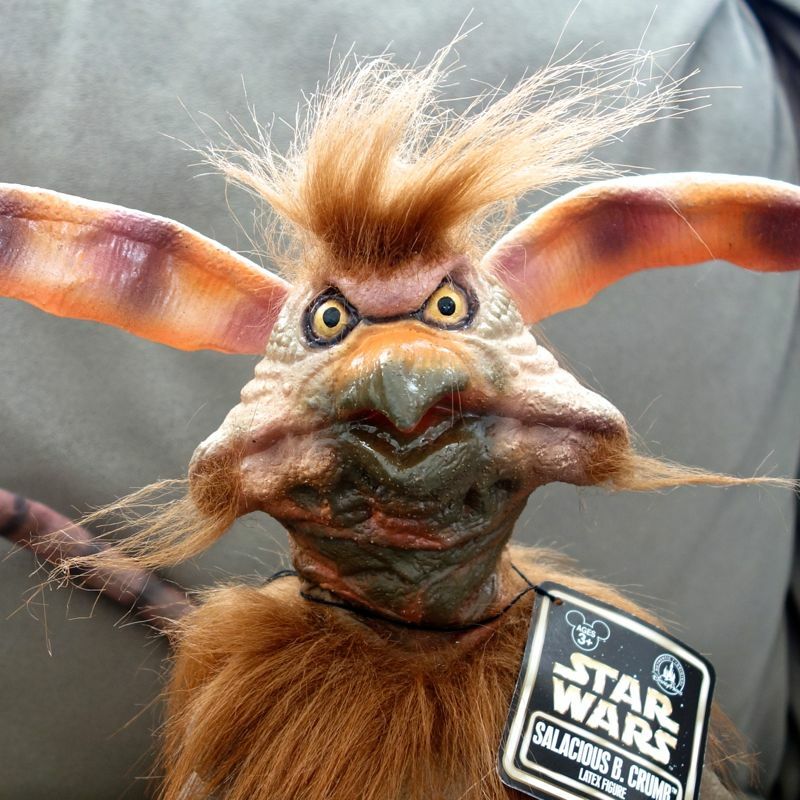 I’ve always liked Salacious Crumb. Maybe it’s partially because he’s essentially a muppet, and I have fond memories of Sesame Street and The Muppet Show. 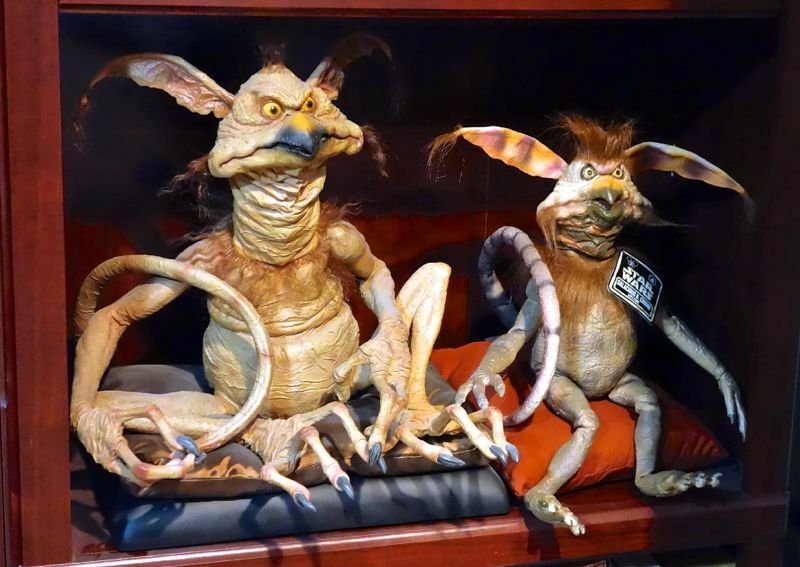 But I also like the idea that Jabba has this little jester/pet sitting next to him on the throne. It’s one of those little details that they could’ve left out, but didn’t. 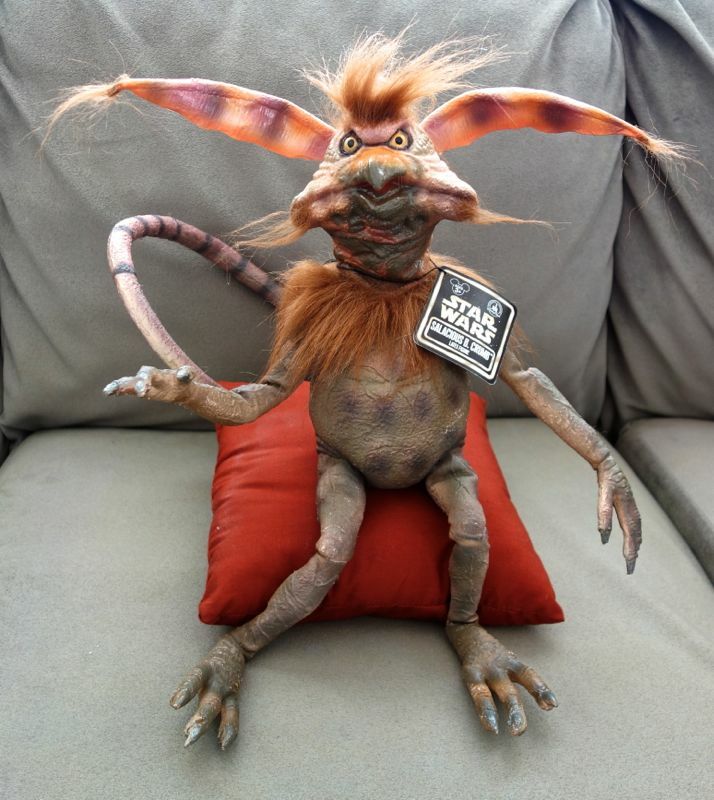 He’s certainly a minor character, but I’ve seen quite a number of fan-made puppets go up for sale over the years, usually for many hundreds of dollars. There’s never been a commercial product quite like this, though. The closest would be the life size statue by Sideshow Collectibles. The sculpt is really quite good, although I think the transition to latex made the details softer than they might otherwise have been. 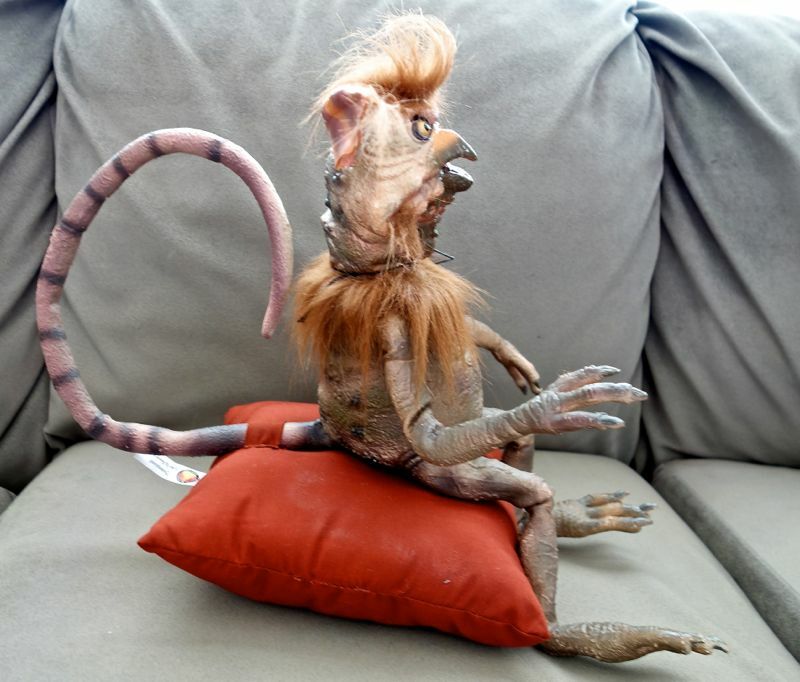 As you can see, his tail fits through a little loop in the pillow to help keep him on, although you can remove him completely if you like. As you can see, he’s noticeably smaller than the Sideshow statue (which was supposed to be life size, but may be a little on the small size compared to the actual puppet). Still, it’s not a huge difference and I think most people would be happy to consider this a life size figure. I can see all sorts of interesting possibilities for this figure, whether it’s Star Wars costuming, practical jokes, or just play. I briefly considered bringing him to Japan with us on our upcoming trip and taking pictures of him in various locations like the “traveling gnome,” but calmer heads (my wife’s, specifically) prevailed. My only real complaint about this figure is that the paint job is a little basic in places. The mouth in particular doesn’t look realistic because it’s all been painted more or less the same color, without anything to make a clear delineation between his “lips.” So I touched mine up with a little brown paint mixed with black. It took all of 5 minutes to add a little definition to the mouth and a bit around his beak, but I think it made a world of difference (see below). I was wondering whether you’d get one of these. It does look very nice and that price is very nice considering it’s Disney.